mom and I hope you have a safe and happy New Year’s. 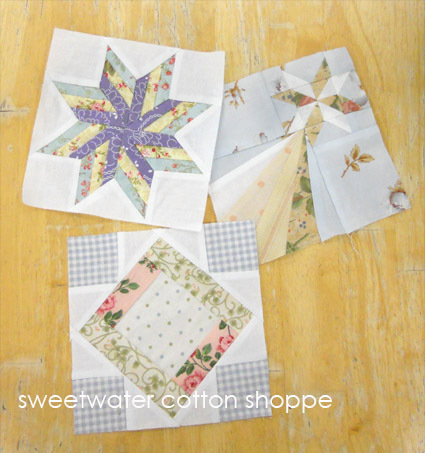 we are busy getting our spring and summer quilt shows finalized, so if you can’t get to the shop be sure to check out our events page and maybe you can stop by and see us at a quilt show. 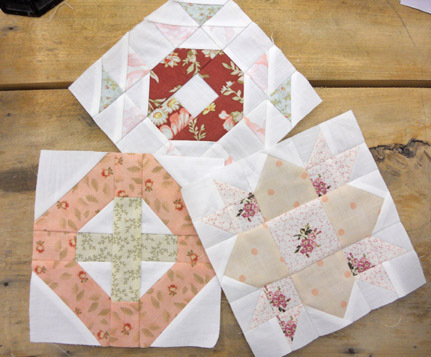 as for new projects in the New Year…we have some fabulous ideas and even a summery themed Quilt Along that will start in February sometime…but more on that. 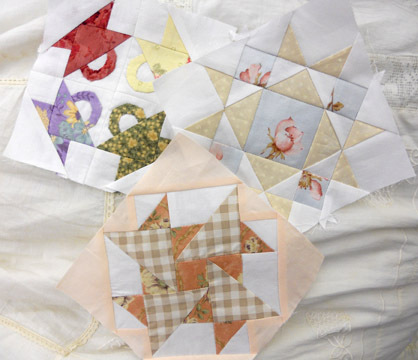 our Countryside Quilt Along started yesterday…we hope you can take part in it. 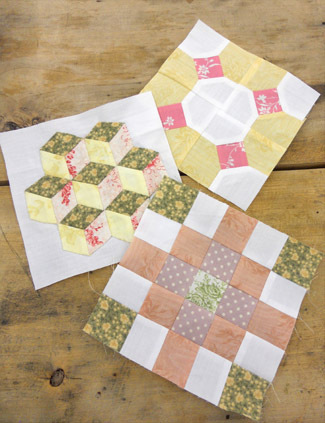 the project is perfect for using up all those orphaned 5 inch squares or round up some charm packs or layer cakes. I’m also going to try and do more on pinterest…even though it is like a vortex and when I get sucked in I am there for hours…there are so many ideas and inspiration and wonderfulness that I don’t want to miss out on anything. maybe i’ll even try and whittle down my boards–or maybe not. i’ll leave you with a picture from the first post of 2014…on January 4th…we finished up the Sylvia blocks and I posted pictures. Sylvia is still bagged and waiting to be sewn together. 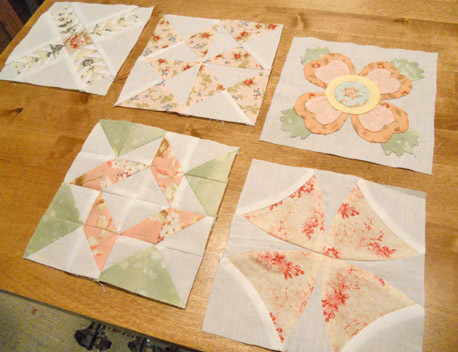 Did anyone join us when we worked on these…did you finish or is she still waiting? maybe we can get her finished up in 2015 too…wouldn’t she be a sight? all those lovely florals on a bleached muslin. 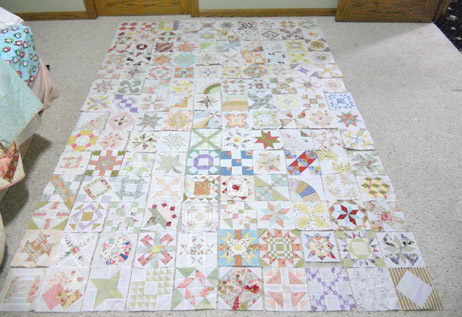 we just laid out the blocks and they are SO pretty! 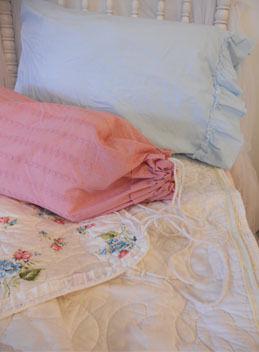 we are going to put in a blush pink cornerstone along with white sashing and the sleeping bag fabric for the border. then we spent an hour or so laying them out according the book. (i apologize for the lighting). 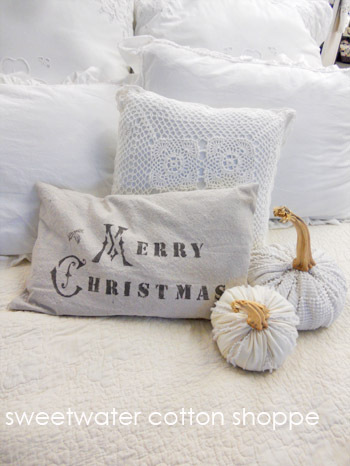 as for the sashing…white muslin. 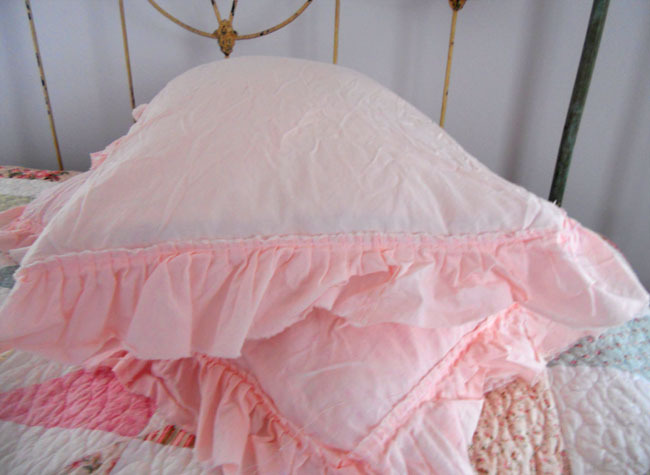 cornerstones will be blush pink–the pink we use in our blissfully cottage shams. and the border will be the floral in the sleeping bag. we are heading into record cold temps–so stay warm. We hope your holiday season was full of friends, family, and laughter. We had a crazy holidays…Connor, Monica and the girls came over for Christmas Eve. Then on Christmas Day Tina went down the cities to get Granny Anne and Dad went to Osakis to get Grandma Zimmer. Granny Anne is staying with us until Saturday. The last 5 sylvia blocks were not finished in time for todays post…i don’t know why we thought we could get them done–good intentions, i guess. 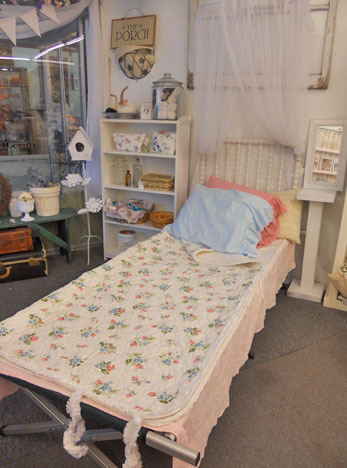 we are also brimming with ideas for the upcoming winter months, Valentine’s Day, Easter…Quilt MN and spring. another unofficial series of projects and patterns that will be available just as soon as we have time to put them together. we are nearing the end! 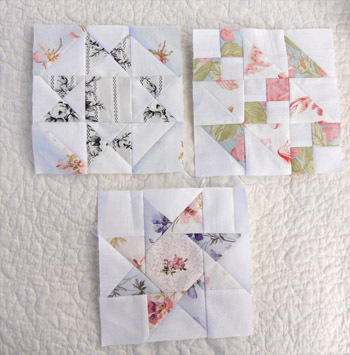 just 5 more (this includes Lancaster Rose)… Wild Goose Chase, Windblown Square, Winding Ways, and Yankee Puzzle. we’ll be back next week with these last 5 blocks and i’ll lay everything out so we can oohh, ahhh, and admire. the next 3 blocks are…weathervane, wedding ring 1, and wedding ring 2.
yikes…sylvia was worked on yesterday, and we brought home the last block to work on. then proceeded to find out that dad’s cousin passed away yesterday and sylvia never made it out of the bag. we’ll get the last one finished up and pics up. we apologize for the delay in the next 3 blocks. 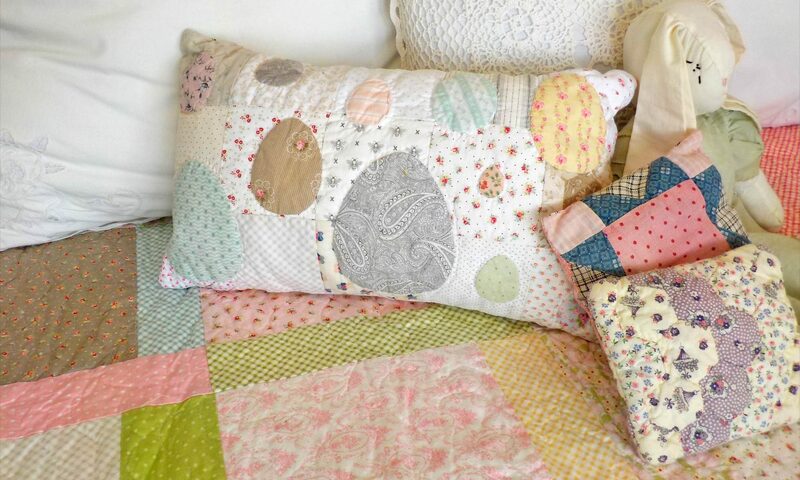 haven’t forgotten about my Vintage Pillow Tutorial…just crazy busy with machine quilting, quilt mn meetings, days off, and snow. sylvia! yes, we have 3 more blocks today–Star of the Orient, Steps to the Alter & Swamp Star. now beings we only have 13 blocks left (which will bring us to the end of December) we needed to come up with a new project to do. 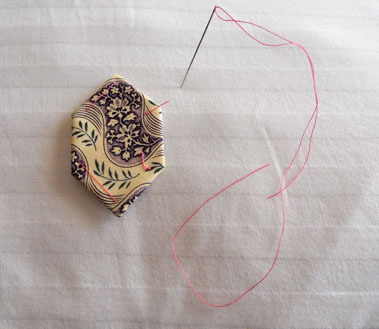 then we sew this book…and after loving Sylvia blocks we thought this one would be a good choice. The Loyal Union Sampler which is brand-spankin’ new is a sampler quilt of 121 traditional blocks. 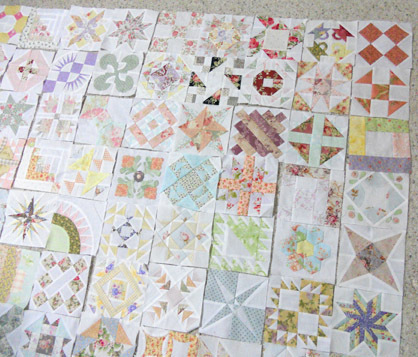 Each block is 6 inches finished…just like Sylvia. 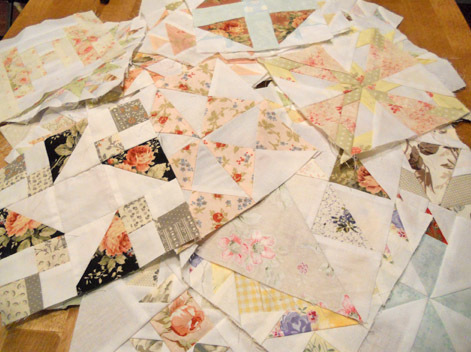 This quilt will be made from civil war prints. We will offer it with 2 options. Option 2: book and kit complete with monthly shipments of the blocks. Quilt finishes at 98 x 98 inches. We’ll be figuring out the details as we start wrapping up Sylvia blocks. next up…star of the orient, steps to the alter, and swamp patch. christmas gallery on the way! just going through the 90+ pictures! check back for sylvia tomorrow morning! the stamp baskets need some applique…so we’ll be doing that tonight. so i’ll post those blocks right away tomorrow morning then sometime in the afternoon i’ll post our Christmas fanstatic-ness! lots of lights, holly berries, glitter-y goodness, 7 wonderful trees, and all around pretty-ful-ness that you can do at home. (otherwise, everything is for sale…or buy the entire tree (minus the lights and tree) and decorate your own.) i’ll be coming up with prices along with hints, tips, and how-tos for some of the basics, and links to purchase the pre-done products that can slip right into your home displays. 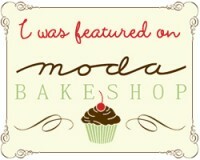 see you tomorrow morning…my lovelies!